Ignoring a tax debt could cost you more than you might think. Approximately 16,000 delinquent New York taxpayers were recently informed that their driving licenses will be suspended if they don’t pay up. Businesses or individuals who owe less than $10,000 will not be affected. New York is following the lead of California, which passed a similar law in October 2011. Are you in Business or is it Just a Hobby? Whether an activity is classified as a business or a hobby can make a significant difference when it comes to taxes. Hobby losses are subject to “hobby loss rules”, under which the deductible expenses are limited to the amount of income generated by the activity. Even the expenses that can be deducted are subject to a 2% of adjusted gross income (AGI) floor. Deductions from business activity income, however, may exceed income and are fully deductible. To illustrate, let’s suppose John, a photographer, decided to start a side business, taking pictures at weekend weddings. He earned $4,000 and incurred travel expenses of $3,000 and supply expenses of $2,000. If John’s side job is classified as a business activity he may deduct both expenses to arrive at a $1,000 loss. If it’s classified as a hobby, however, he may only deduct expenses to the extent of his earnings $4,000(assuming those expenses exceed the 2% of AGI floor), and no loss would be allowed. While the difference is clear in terms of the tax ramifications, whether or not to classify an activity as a hobby is a rather complex matter. These are only a few of many factors the IRS may consider. We recommend that you consult with a tax professional to determine the proper classification of your business activity. Beginning 2013, the Internal Revenue Service is offering a simplified method that many owners of home-based businesses and some home-based workers may use to figure their deductions for the business use of their homes. The new optional deduction is capped at $1,500 per year based upon $5 a square foot for up to 300 square feet. This will serve to reduce the paperwork and recordkeeping burden on small businesses. While the new safe-harbor may be more convenient, in many cases the traditional ‘office in the home’ deduction would yield a greater tax savings. Between mortgage interest, real estate tax and utilities, many taxpayers exceed the $1,500 cap of the new deduction. The new deduction also has the disadvantage that if it would result in a loss it cannot be taken. 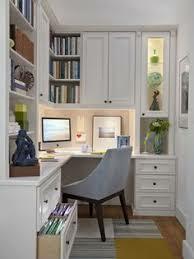 This is in contrast to a regular office in the home deduction, which can result in a loss carry-forward. The new deduction also cannot be combined with a loss that is carried forward from the previous year.